This article written by Food Understood guest writer Tyler Schultz. You’ve seen the label on milk cartons, ice cream, and even cheese, but what is rBST? Recombinant bovine somatotropin (rbST) is a hormone that effects milk production in a cow. Over the past several years, the public has started calling it “growth hormone” (sometimes abbreviated GH), which is synonymous to rbST. There is a lot of bias information circulating on the issue. I hope this to be an unbiased and informational article about rbST aka ST aka rbGH. It keeps lactation cells in the udder producing milk. It is a protein that circulates in the cow’s blood and has receptors in the liver. If conditions are right (ample nutrients, high energy balance, ect.) the liver will produce IGF-1 after sensing rbST in the blood. As far as lactation is concerned, IGF-1 prevents mammary cells from dying off (called apoptosis). Simply put, low rbST eventually ends up lowering lactation cell count, causing decreased milk production. Is rbST produced naturally in the cow? 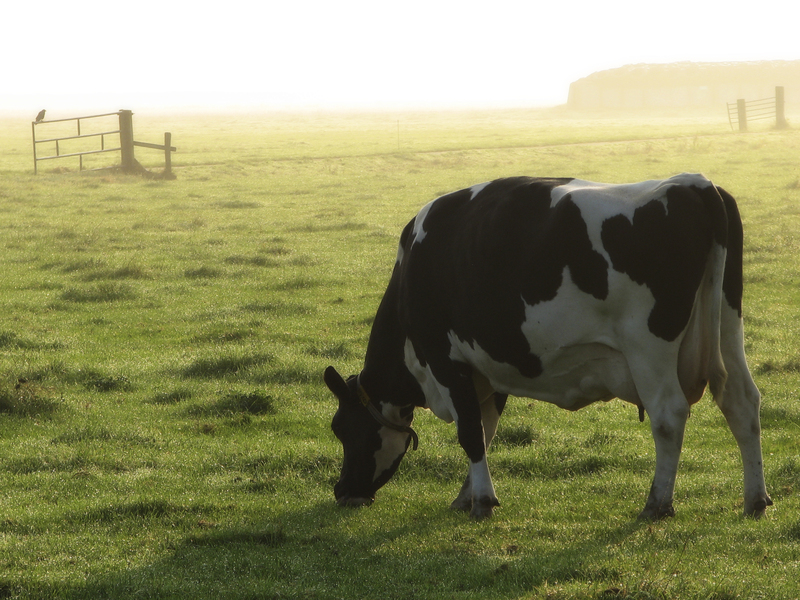 bST is a naturally occurring hormone and without it, cows would not be able to produce milk. The r in front of bST means the hormone added was produced outside of the animal. As I have just stated, rbST keeps lactation cells producing milk. Since it is always involved in milk production and always in cattle, labels on milk say, “not treated with rbST” because “rbST free” milk could not exist. The cow produces it naturally. Why did farmers start using rbST? As cows age, they lose the ability to secrete as much bST, thus lowering their milk production. Farmers have found that giving a dairy cow a shot of rbST every couple weeks will keep the hormone levels up to the same level they used to be, thus keeping her lactation up. Thus, the cow produces more milk. If you have any questions, be sure to ask. I am happy to help! Just comment below. ← Why is Gluten-Intolerance So Rarely Diagnosed?